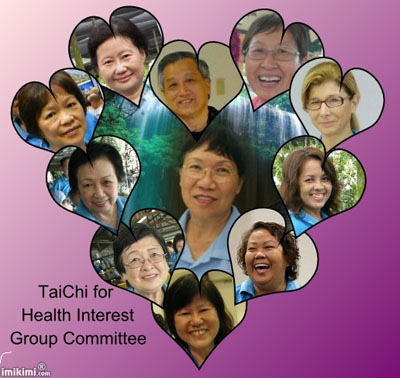 Tai Chi for Health Interest Group was formed in July 2012. A group of very passionate tai chi participants sharing same interest and volunteer to help with the forming of Interest Group. Interest Group will be a platform to bring tai chi members who are learning tai chi from various community club, resident committee, to come together to practice tai chi and to participate in the various activities like Balloon Sculpting; Handicrafts – Knitting, Crochet, Patchwork; Flower Arrangement; Mind Games like Sudoku, solving Puzzle and Rummy O. Members get to meet new friends, sharing and learning from each other on tai chi forms, thus creating friendship, sharing and caring for each other. Interest Group, a good way to promote friendship, community cohesiveness and most important a good learning experiences for everyone to find some activity they enjoy doing and keeping them busy and active.